Next to alligators, one of the most amazing things about Florida are their live oak trees. They are immense, sheltering an entire ecosystem in each tree, and apparently can be found all over the state. In a place where it gets to be too hot to be out in the sun even early in the day, a tree like this in a park is very welcome. 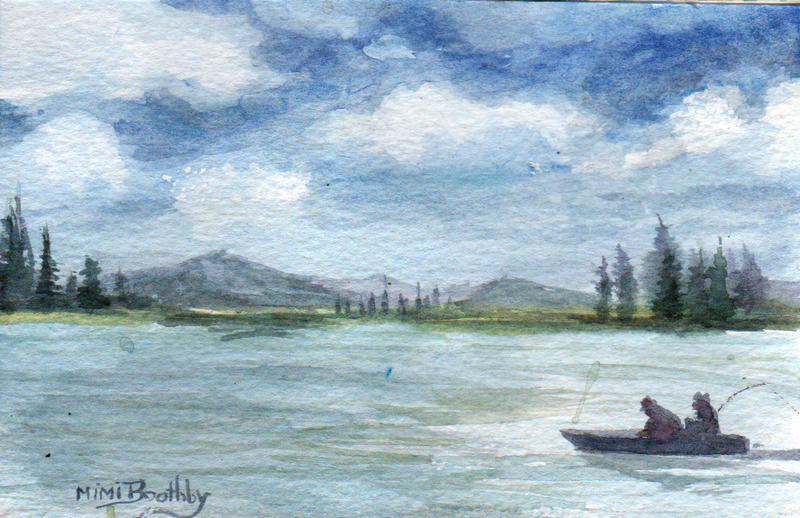 This painting measures 8″ x 11″ and is for sale for $125.00. 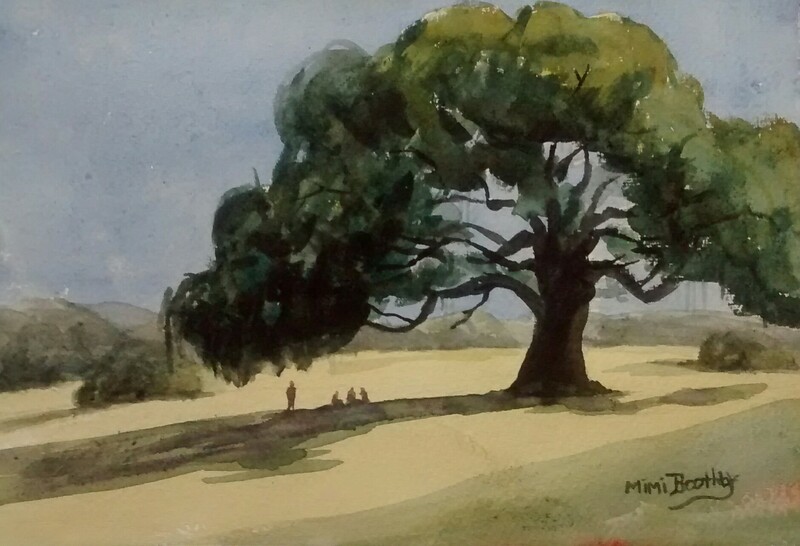 It was painted on hand made Indian Village paper. All proceeds from the sale of this painting go towards endangered species conservation. In between portraits, I still need to paint, so I paint a lot of postcards. This one, which is a deliberate attempt at using more muted colors, already has a stamp on it.